Nintendo’s Mario character doesn’t need any introduction. And, in all honesty, Mario Kart as a game doesn’t, either! In fact, they are amongst the most iconic in the video games history. 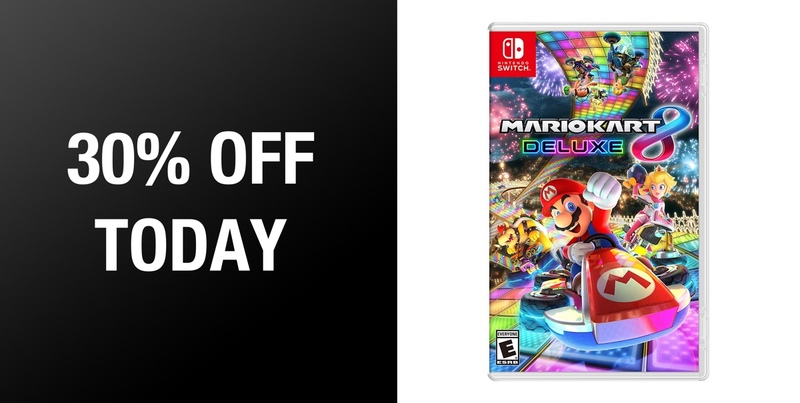 Now, thanks to this deal, you are able to save a whopping 30% when you purchase the latest Mario Kart 8 Deluxe title for Nintendo Switch and welcome this icon of the industry into your life. This is the latest and greatest iteration of Mario Kart to hit Nintendo’s platforms. It features the same iconic and extremely enjoyable gameplay that Mario Kart has become known for over the last 15 years, and, like the versions of the game that has come before it, it is perfectly designed for multiplayer enjoyment. 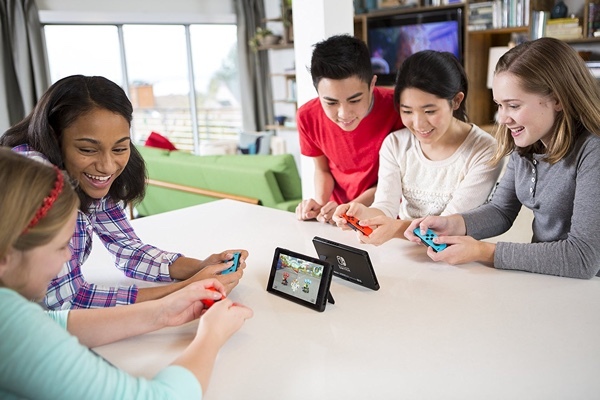 That could be local with friends in 1080p in TV Mode, or even online if you have a Nintendo Switch Online membership. Hit the road with the definitive version of Mario Kart 8 and play anytime, any-where! Race your friends or battle them in a revised battle mode on new and returning battle courses. Play locally in up to 4-player multiplayer in 1080p while playing in TV Mode. Every track from the Wii U version, including DLC, makes a glorious return. Plus, the Inklings appear as all-new guest characters, along with returning favorites, such as King Boo, Dry Bones, and Bowser Jr.! This wonderful purchase comes with new characters, new courses, access to handheld mode if you aren’t connecting your Switch to a TV, and a host of returning items from previous versions of the game, including Boo, the item-stealing ghost. If you are perfectly poised and entirely enthused to welcome the madness, chaos, and extreme enjoyment of Mario Kart 8 Deluxe into your life for the Nintendo Switch, then congratulations, and welcome to the savings train. You will find everything that you need on the direct product link below but keep in mind that this is a digital download code. This means that you won’t receive a physical copy of the game after purchase but will be able to download and play immediately without waiting for delivery! Get ready to hit the road, players!